About Star's Edge. Star's Edge International is the corporation that manages the delivery and expansion of Avatar. 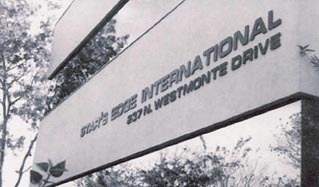 Star's Edge International is the corporation that manages the delivery and expansion of Avatar. It was founded in 1986 to oversee and manage the secular affairs associated with creating an enlightened planetary civilization. Some individuals have wondered why Star's Edge does not operate as a nonprofit institute and teach Avatar on the basis of goodwill donations. They argue that the Avatar materials are far too important to remain the proprietary property of any individual or company. There is some merit to their argument, but the flaw ~ and it is a fatal one ~ is the assumption that the existing society will act in its own behalf to preserve and spread this new technology. Historically, technologies not associated with profit are short-lived. Introducing a new technology to an established civilization requires that somebody do something more than say, "Here it is. Take it. Give me what you think it is worth." Somebody has to ensure that the technology is purely presented and not biased toward someone's belief system or slanted to support someone's personal motivation. Somebody has to manage the hundreds of variables and decision points that inevitably arise in cooperative acts of this size. Somebody has to think ahead. Somebody has to deal with vested interests. Somebody has to settle disputes and keep everything on track. Somebody has to pay the bills. Avatar, managed properly, is a catalyst to accelerate the creation of an enlightened global civilization that can be entrusted with the responsible custodianship of this planet. It is that important. It is that important! The Avatar program is a straight-forward exchange of a valuable training program for valuable financial consideration. When you understand how really clean this is, and the ramifications, you will realize how refreshing and certain of success is our approach to creating an enlightened planetary civilization. We're not founding a new religious sect or any sort of true faith zealots. We don't want to convey any belief system or series of agree ments to people. We do not have a hidden agenda, nor do we apologize for being prosperous and powerful. Whoever created the belief that poverty and world service go hand-in-hand cost humanity the help of some of the brightest people who have ever lived. Our intention is that the people we train and license to deliver Avatar charge money (not worship nor homage nor admiration, but currency alone) for their valuable service and that they charge enough to guarantee that Avatar continues to expand and attract the able. We intend to set an example for the world: prosperity and good works belong together. Avatar, properly presented, is the most powerful, purest self-development program available at any price. It is the shared responsibility of Star's Edge, Avatar Masters, and every Avatar student to insist this standard of quality be maintained. We play a big game. that of the guide, which is a caring heart characterized by patience, compassion, and reason; and that of the guardian, which is a fierce heart characterized by integrity, courage, and justice. Star's Edge Inc. All rights reserved. © 2000 Star's Edge Inc. Writer, teacher, lecturer, scientist, programmer, environmentalist, businessman, spiritual leader, explorer ~ Harry Palmer is truly a Renaissance man. For more than 30 years, Harry has played a prominent role in the consciousness-evolvement field. His bestseller, Living Deliberately (currently available in 16 languages), describing his personal discovery of enlightenment, launched the highly regarded worldwide workshop called The Avatar Course. His lofty aim, to contribute to the creation of an enlightened planetary civilization, has been adopted by tens of thousands.